Create a standard Bible in a Year reading schedule. Use the Reading Schedule window to read planned items. 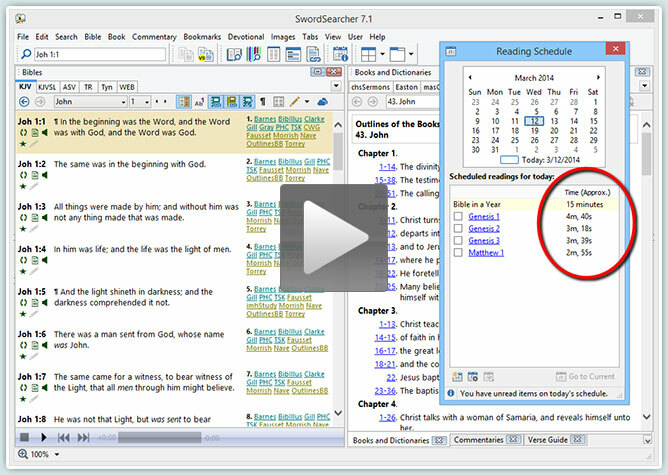 Create a custom reading plan to read the Gospels for 30 minutes a day. Automatically reschedule plans if you fall too far behind to catch up. ©2019 StudyLamp Software LLC. All rights reserved. SwordSearcher® is a registered trademark.